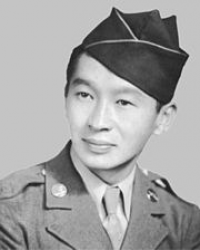 Private First Class Masato Nakae (20 December 1917 - 4 September 1998) was a U.S. Army soldier who was posthumously awarded the U.S. military's highest award for valor, the Medal of Honor, for his heroic actions during World War II. Masato Nakae was born on 20 December 1917 in Lihue, HI. 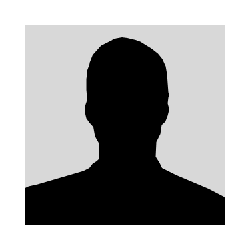 During World War II he served with the 100th Battalion, 442nd Infantry Regiment in the European Theatre of Operations. He was originally awarded the Distinguished Service Cross for his heroism in battle near Pisa, Italy, on 19 August 1944. In the 1990s, Congress directed the Secretary of the Army to review all awards of the Distinguished Service Cross (DSC) to Americans of Japanese and Pacific Islands' descent to determine if racial bias had influenced the awards process. 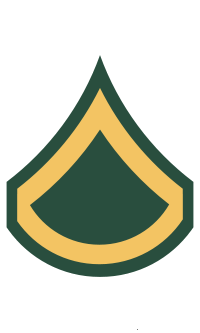 Twenty-two awards of the DSC were determined to have qualified for upgrade to the Medal of Honor. In a ceremony at the White House on 21 June 2000, Nakae's surviving family was presented with his Medal of Honor by President Bill Clinton. Twenty-one other Asian Americans also received the Medal during the ceremony; all but seven of them posthumously. Citation: Private Masato Nakae distinguished himself by extraordinary heroism in action on 19 August 1944, near Pisa, Italy. When his submachine gun was damaged by a shell fragment during a fierce attack by a superior enemy force, Private Nakae quickly picked up his wounded comrade's M-1 rifle and fired rifle grenades at the steadily advancing enemy. As the hostile force continued to close in on his position, Private Nakae threw six grenades and forced them to withdraw. During a concentrated enemy mortar barrage that preceded the next assault by the enemy force, a mortar shell fragment seriously wounded Private Nakae. Despite his injury, he refused to surrender his position and continued firing at the advancing enemy. By inflicting heavy casualties on the enemy force, he finally succeeded in breaking up the attack and caused the enemy to withdraw. Private Nakae's extraordinary heroism and devotion to duty are in keeping with the highest traditions of military service and reflect great credit on him, his unit, and the United States Army. Private First Class Masato Nakae died on 4 September 1998 at age 80. He is buried at National Memorial Cemetery of the Pacific in Honolulu, HI, in Section U, Grave 1446.